Anarchist politics are at the heart of today’s most vibrant and radical social movements. From squatted social centres and community gardens to acts of sabotage and raucous summit blockades, anarchist groups and networks are spreading an ethos of direct action, non-hierarchical organizing and self-liberation.that has redefined revolutionary struggle for the 21st century. Anarchy Alive! is a fascinating, in-depth look at the practice and theory of contemporary anarchism. Uri Gordon draws on seven years of activist experience and on interviews, discussions and a vast selection of recent literature to explore the activities, cultures and agendas shaping today’s explosive anti-authoritarian revival. Anarchy Alive! Also addresses some of the most tense debates in the contemporary movement, using a theory based on practice to provocatively reshape anarchist discussions of leadership, violence, technology and nationalism. 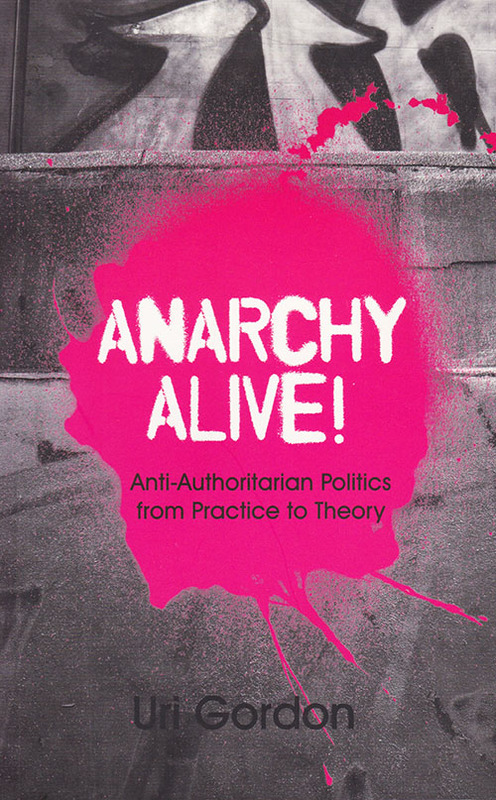 This is the ideal book for anyone looking for a fresh, informed and critical engagement with anarchism, as a mature and dynamic political force in the age of globalisation. ©2015 Uri Gordon. All rights reserved.